Will SMBs respond to Dell's new approach? Dell's return to private ownership is hitting this week's headlines, but it's the latest step in a process that has seen a change of direction and could have strong implications for how the company positions itself in the small and midsized business market. It waved the flags at its annual Technology Camp event in Amsterdam last week, telling press and analysts that it had moved beyond its traditional role as a big volume hardware supplier. 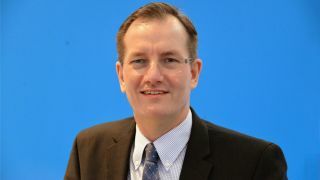 Tom Kendra, General Manager of Dell's software group, highlighted three key areas for the operation: data centre and cloud management; handling an increasing volume of data in information management; and supporting mobile workforces. He emphasised that Dell now has a portfolio that goes into a wide range of areas, including systems management, performance monitoring, network security, identification and access, database tools and back office systems. This has come largely from a stream of acquisitions over the past year, including Kace for system lifecycle management, Wyse for thin client, desktop utilisation and mobile cloud technology, Quest Software for communication, collaboration and identification, SecureWorks for security and Gale Technologies for infrastructure automation. It also recently acquired Credant Technologies for data protection solutions. Throughout the day Dell spokespeople pushed the potential of providing end-to-end solutions, and the Active Infrastructure portfolio, in which it brings together servers, storage, networking and infrastructure management into a converged system. They were also able to point to a handful of releases: the Dell Online Solutions Configurator for use with its PartnerDirect portal; systems to optimise the workload on the SAP HANA platform for data analysis; and Active Systems Manager 7.0, which extends the Active System converged infrastructure package to a virtualised environment. This all provided credibility to its claim to have evolved into a provider of end to end solutions. But it also raised a question: while it insisted that it remains committed to the SMB market, how much of that market will have the money to take advantage of its new role? It may seem that the company is pitching itself beyond the reach of many SMBs, looking to see extensive packages of services rather than consignments of hardware on a piecemeal basis. But it took pains to show it still regards smaller firms as a core market. Almost to prove the point, it organised a think tank discussion, bringing together a group of business people, analysts and its own representatives to talk about the IT issues faced by small businesses. Questions came up around skills shortages, the need to keep up with technology changes, assessing the full potential of the cloud, the need to be able to scale up without pain, and the lack of knowledge on legal and compliance issues in data management. Tony Parkinson, Vice President of Dell Enterprise Systems in Europe, highlighted a drive to take high performance computing to SMBs in the UK. Also, he told TRBC that Dell plans to maintain a focus on smaller companies – referring to the market as its "sweet spot" – but that it has a different approach to that which has made it one of the major players in supplying the sector. "You need to look at it holistically and understand the convergences and impacts of one piece of technology on another," he said. "For example, bring your own device is great from an employee perspective, but not great from an IT manager's perspective." There's still that question of whether this move takes the company into the type of business that demands a heavier investment than most SMBs can handle. Parkinson acknowledged that it requires a different approach to investment in IT, but said the promise of expertise provides the extra value that will make it worthwhile. "At some point they will need to improve security or data centres or some other aspect, and our ability to talk to them about changes on the networking, server or client side will be important," he said. "They can have a relationship with us and see us as a trusted advisor." "We could put businesses in touch with others that have gone through similar issues," he said. "Our overall role is in solutions; we focus on the IT and the impact it has on the rest of the business." It's a position that has credibility, and could well be tempting to smaller firms that are growing and ready to take on a larger IT infrastructure. But it may still demand too much of those with limited funds, and it's likely that many are still going to be looking for no more than a few laptops or a couple of servers.